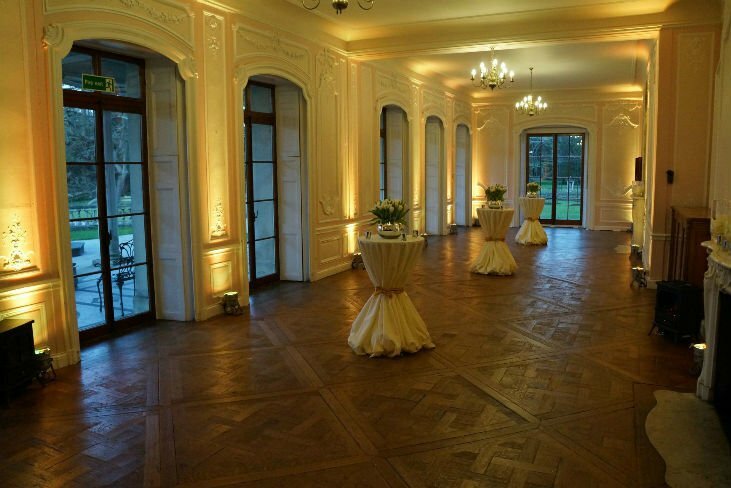 Grove House is the perfect venue for Champagne receptions, lavish dinners, conferences and business meetings. Or, why not use the outdoor lawn area for your team building activities? Grove House is a beautiful Grade II listed Georgian house that has only recently become available to hire. 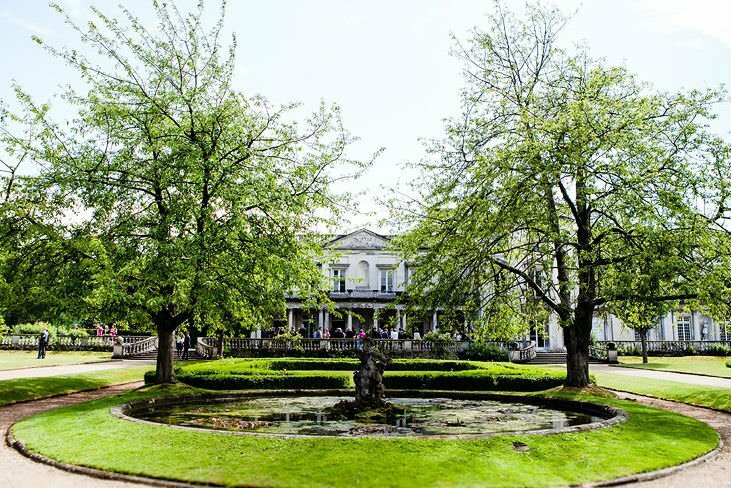 It is situated only five miles from central London, set within four acres of landscaped gardens and is an exclusive and majestic venue that is guaranteed to wow guests. This special Georgian mansion sits within striking historic walls and overlooks extensive immaculately kept gardens and scenic lily ponds. 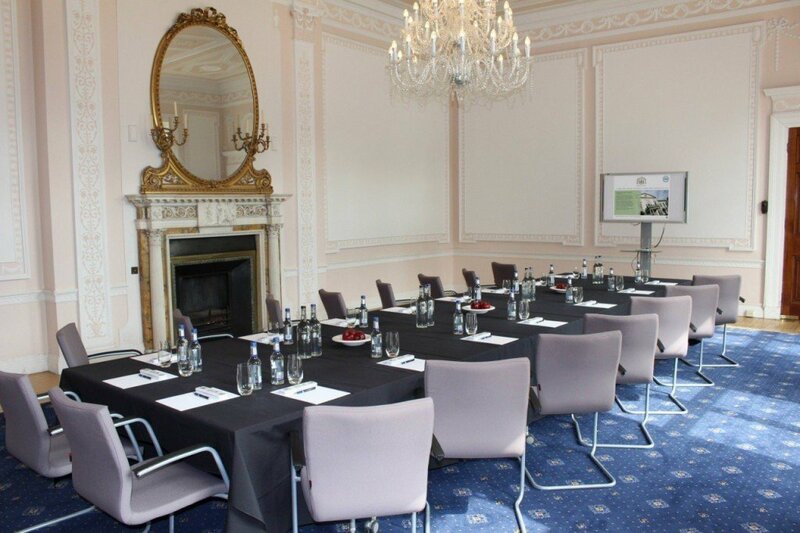 Inside, Grove House offers a suite of versatile rooms – each of which is a dynamic setting for any event. The Grove House Grand Terrace provides the perfect reception room within which guests can gather and appreciate wonderful views of the garden from the covered balcony. 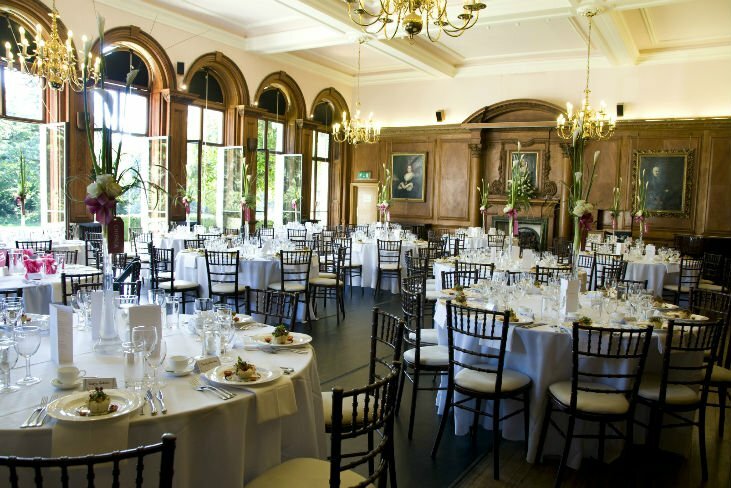 The oak-panelled Portrait Room can hold up to 120 guests. In the Adam Room, 60 guests can congregate under a spectacular crystal chandelier. For a smaller group or a break-out space, the Grove House Panelled Room provides a more intimate setting where up to 30 guests can be accommodated. Outside, the pristine lawn area of Grove House provides an ideal space to set up marquees, host motivational team building activities or even install a temporary fun fair! Roehampton Great House stood on the Grove House site until 1792 when James Wyatt built the house that stands in its place today. The earlier Roehampton Great House was built in 1625 under Charles I and was home to the Lord High Treasurer of England. Remnants of the foundations of Roehampton Great House can still be seen in the cellar of Grove House.